Hamad International Airport is a magnificent facility. It reminds you more of a high end shopping mall and entertainment center with its expensive stores and massive advertising billboards. And then there is the the Lamp Bear which seems totally out of place. My seat was 2A. 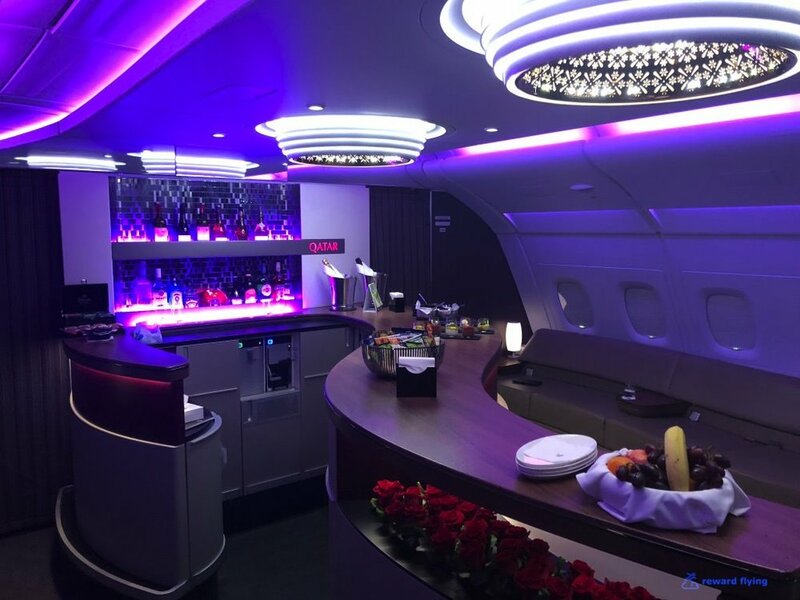 Qatar’s A380 first class cabin on in the upper deck. There are 8 first class seats, 2 rows of 1x2x1. Today’s load would be 3 people. Two in row one and me in row 2. 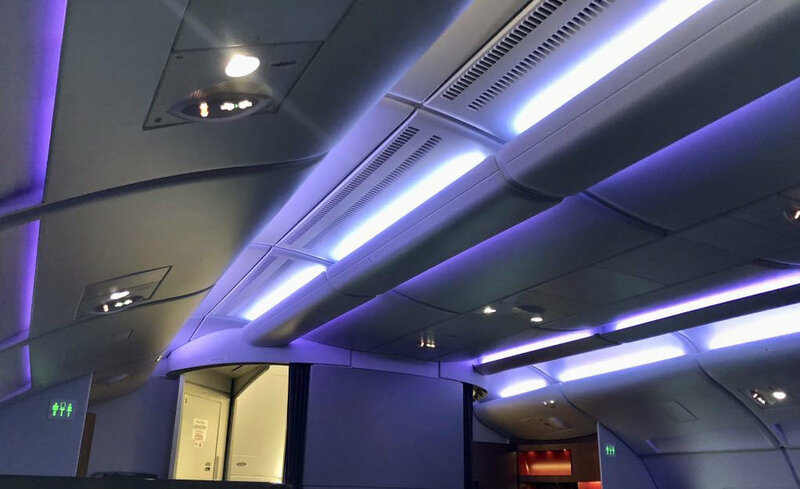 As on the 777, boarding lights were mood lighting. This made for dark pictures. Apologies in advance. A view of the seat next to me when boarding. An view of the seat next to me. with light on arrival. The seat is an open suite with a privacy partition that is electronically controlled. Opposite to the seat is a bench that can be used for a dining partner. The Qatar colors of grey, burgundy along with the faux wood enhance the darkness of the cabin. The divider between seats nicely acts as your closet. And this inseat reading light is also a clever design. One armrest holds a bottle of water. 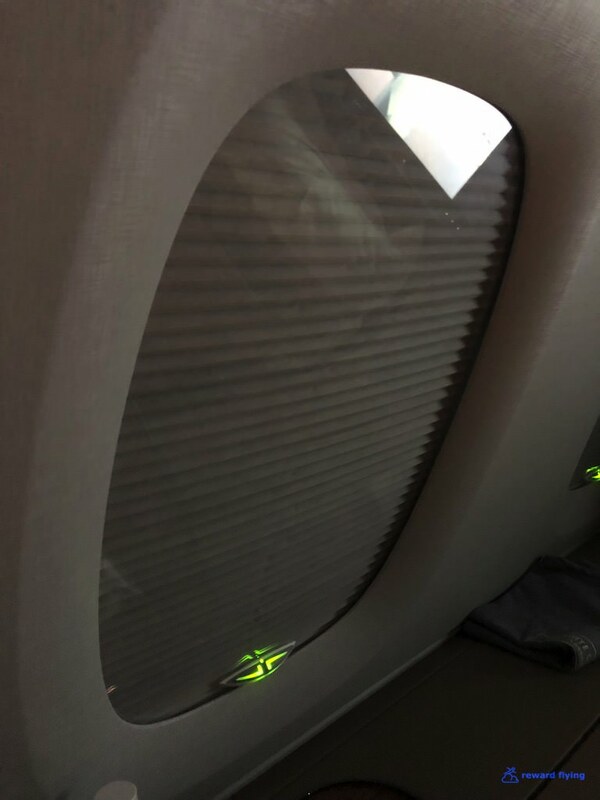 The other side operates the partition as well as seat controls in the armrest. This however looks to be an afterthought. The Lufthansa drink tray looks to be part of the suite, this doesn’t. A mattress pad was provided when time to sleep. 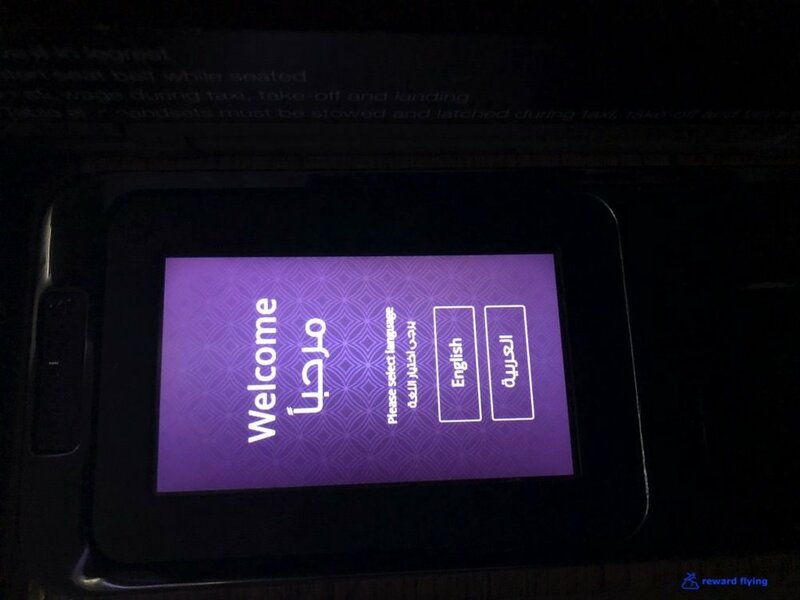 Overall I found the Qatar first class seat to be very comfortable for a long haul flight. With the privacy extended I wouldn’t be able to see a neighbor even if I there was one. When the bed was extended it was comfortable as well. The mattress pad was ok. I slept pretty well on the flight. My take on the first class cabin itself was it lacked character. The colors blended into the darkness. I also found it odd that the first class cabin didn’t have a Qatar logo or any other identification This is the front of the bulkhead wall at the top of the stairs, which no one walks up anyway. This is the opposite side, just plain grey. The back bulkhead was was the same. Overall the cabin isn’t anything like the photos you see on their website. This part of the plane is gorgeous. And for no one. There are 2 lavatories in first class, for 8 people. Each are huge. Qatar of course opted against an onboard shower. 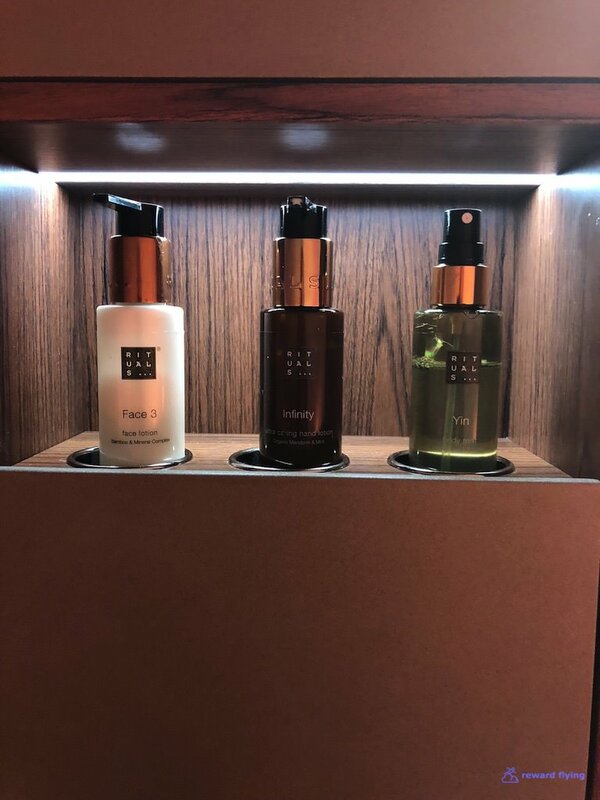 Necessary amenities were plentifully stocked. Outside the lavatories was a snack bar. 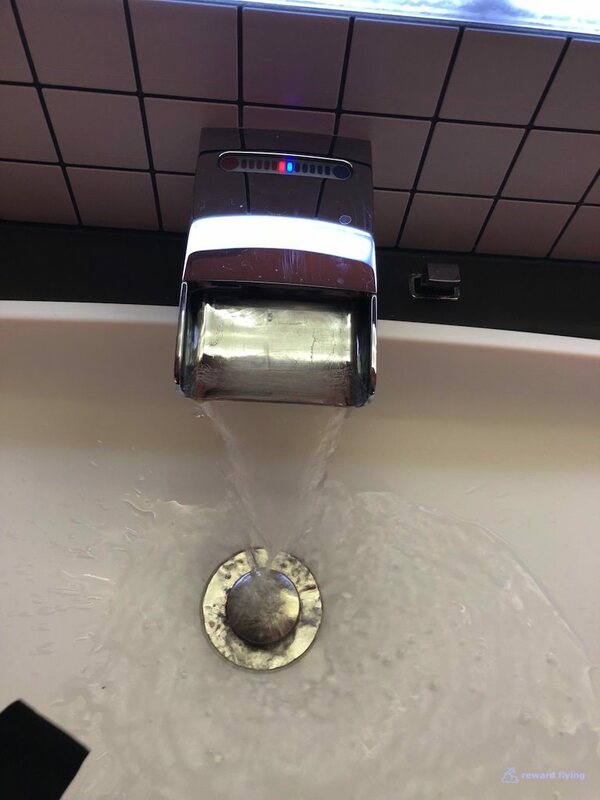 I was never told about this, just saw it when using the lav. Once on board I was welcomed by the first class cabin flight attendant whose name was Jasmine. I was given a bevy of gifts including a Bric’s amenity kit which includes a luggage tag as well as pajamas and a set of headphones. The large size pajamas were way big, so she gave me a medium and they were way small. Go figure. 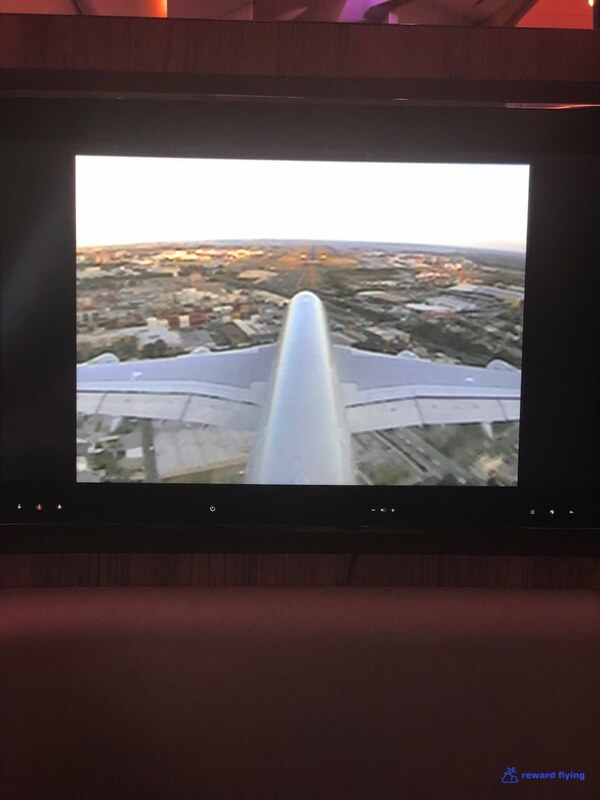 Two champagnes were offered on this flight. I chose the former. Menus were distributed. Jasmine said you could dine at anytime. Except after saying I could dine at anytime when she came around for the other 2 orders she also came to get mine. I didn’t argue. 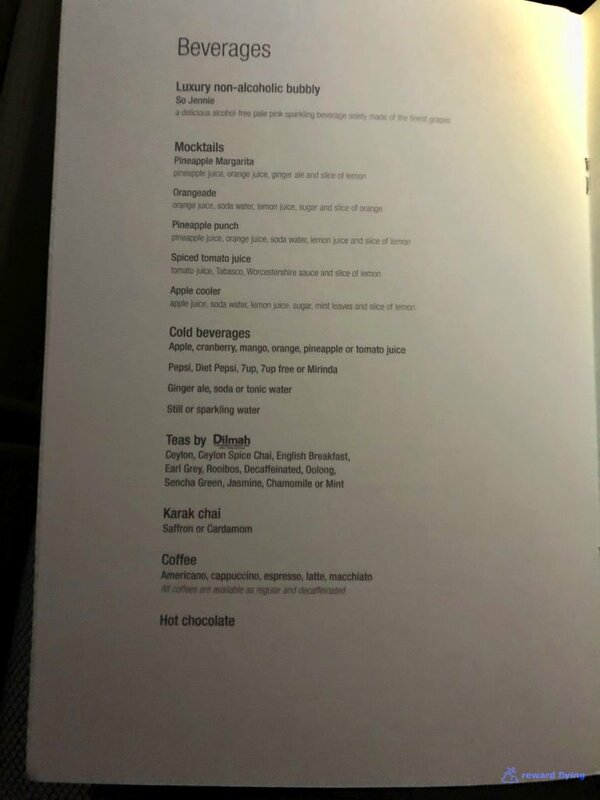 I found the menu rather lackluster for a 14 hour flight leaving at 8PM. On the other hand, caviar was on board. The LARGE table was set, maybe not as precisely as you would find on some other international first class airlines, but it has a candle. The amuse was smoked salmon and roasted peppers. Meh. 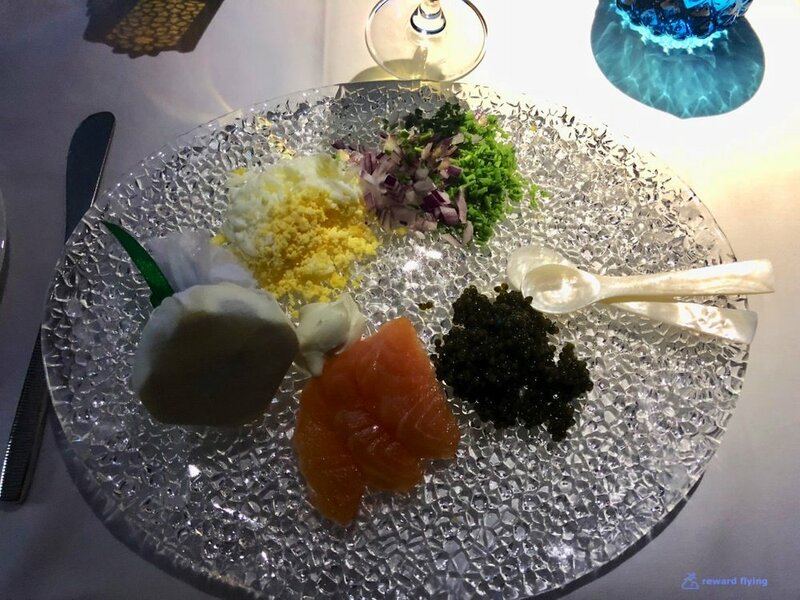 Caviar was served, finally with more than 3 blinis! And did you notice there wasn’t a soup course? Time to switch to a nice red for dinner. The Bordeaux did not disappoint. I ordered the cod simply via elimination. 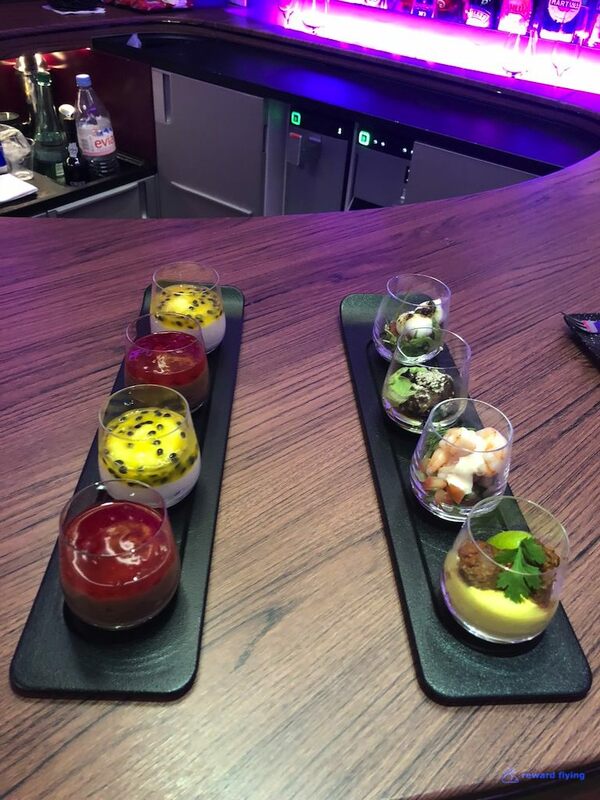 It was good, nevertheless I was regretting not indulging at the lounge before the flight. I think I refused dessert. Instead a chocolate was welcomed. Next it was off to the bar which is located behind the front business class section. Just a stunning bar. Out of the ME3, this one is hands down the most beautiful. A young woman from Thailand whose name escapes me, but spoke fluent english from her studies in Boston was in change. We talked for a while. She had the perfect personality for this position. Having reached my limit it was time for some sleep. I headed back through the business class cabin. With the Super Diamond seats this isn’t a bad way to travel at all. After probably about 6 hours of sleep it was time to breakfast. I always think it’s so wasteful to fly first class, pay more and sleep. Breakfast was on tap. I created my own from the menu, everything. No complaints, other than it took almost 30 minutes to make. Time to pass some time with the IFE. The monitor is excellent. Not as good as Etihad’s but better than many top shelf first class cabins. 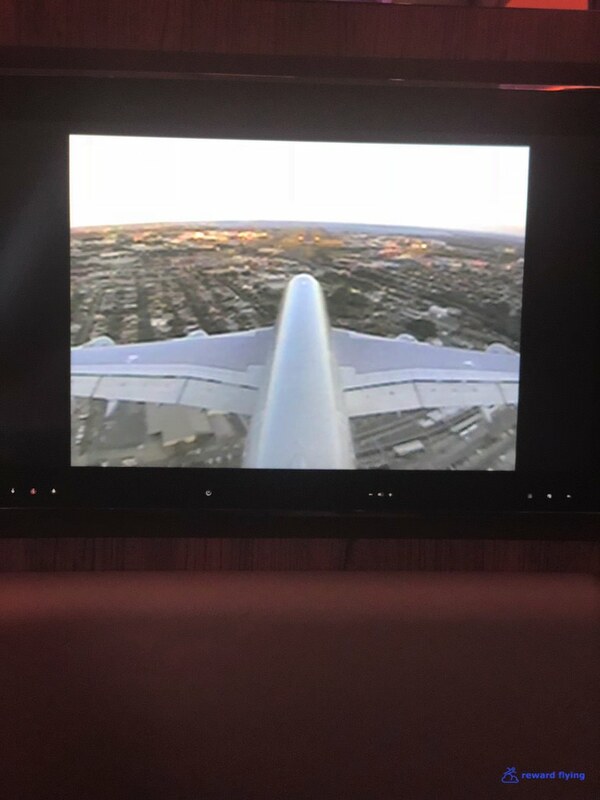 And the A380 cameras are so cool. Before landing I went for the Afternoon Tea, as it was afternoon at the destination. 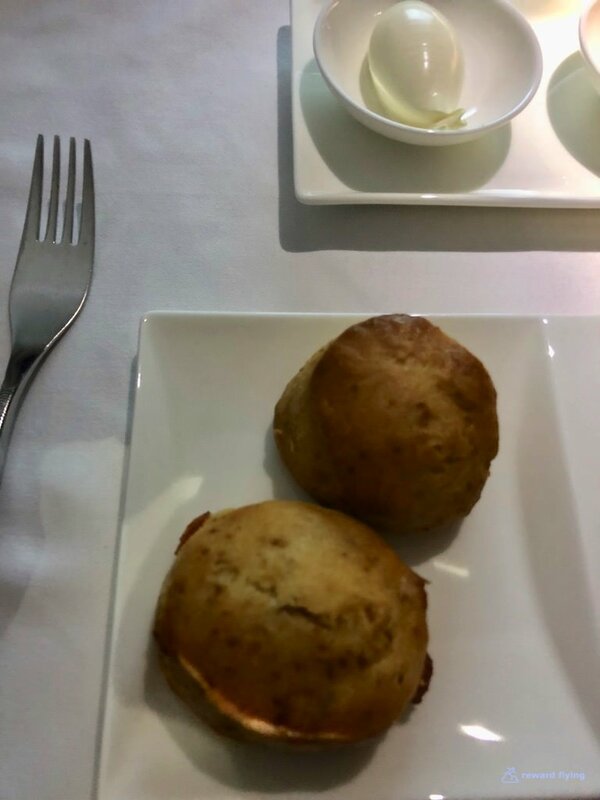 Warm scones with clotted cream. Out of the 3 meals the Afternoon Tea was probably my favorite. With arrival at hand the good news is finally getting some light in the cabin! 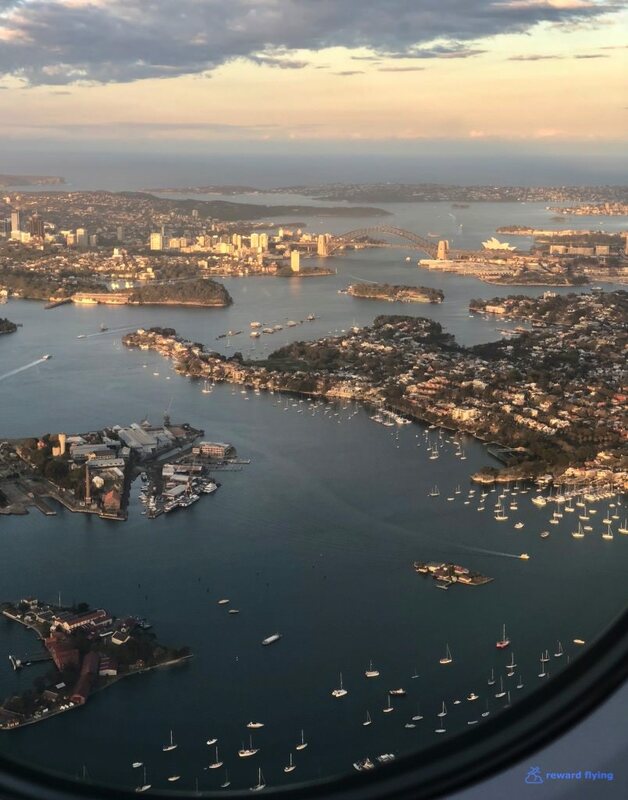 Sydney is always a scenic city to fly into. This winter day would be no exception. I used American points for this redemption. A first class redemption from Europe to Australia is 115,000 points. Minus the CitiBank discount the flight costs 105,000 points. 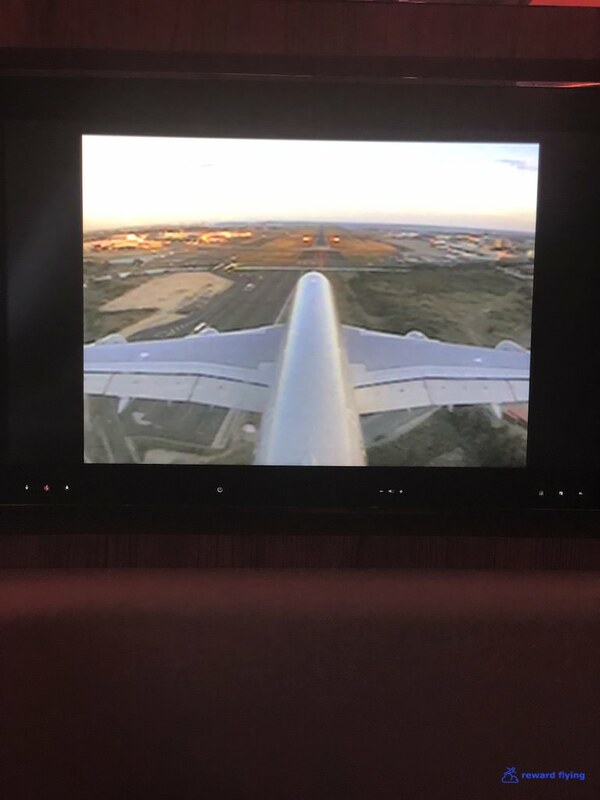 Given the Q-suites issue and an average first class trip on the A380, along with their business class cabin that looked pretty good, a do over would be business class all the way, for 30,000 less points. ✔︎First class was dark and nondescript. Other parts of the aircraft were gorgeous. ✔︎I like these open seats for comfort and got a good sleep as well. ✔︎Good amenities, except the pajama sizes were a little confounding. ✔︎The food was average. No salad course. 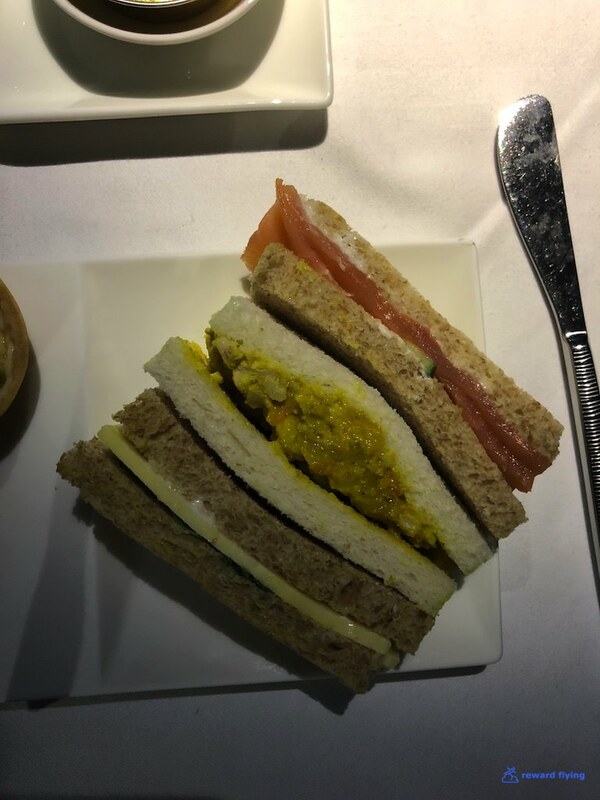 Like others have said, it’s a business class meal. ✔︎ WiFi was free for first class passengers. 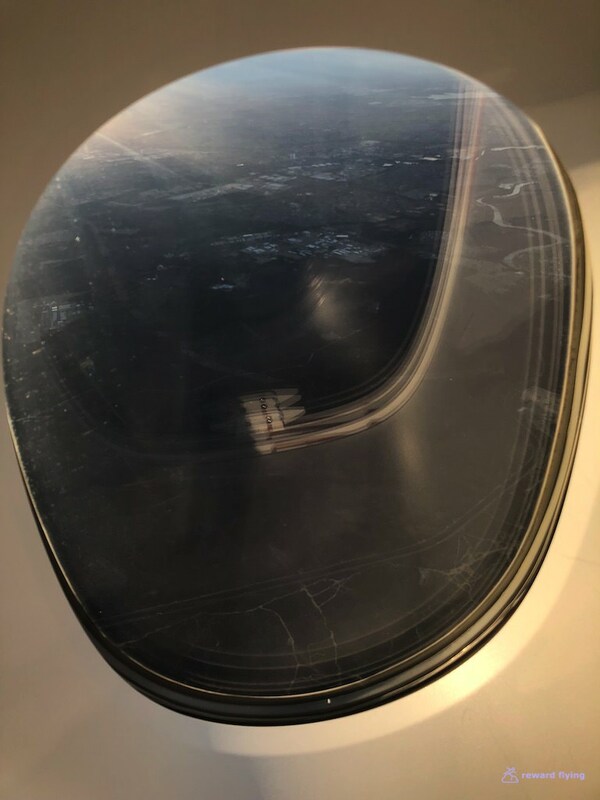 I used it to track the flight as shown below. Speed seemed reasonable when it worked, over the Indian Ocean there were dead spots which is to be expected. ✔︎Well intentioned crew with little polish or first class experience. Dine on demand, not really. No soup was served. Very polite and friendly, but nothing close to the Savoy trained FA’s on Etihad. And not to nitpick, but more often than not, when the seat next to you is not occupied a seasoned FA will offer to make the empty seat your bed. Not today, even though I was one of four in row two. ✔︎A380. Less than 2 years old. Awesome aircraft. For me, a true test of how much I liked the flight is once I land if I am looking to book it again. Sans the first class lounge, not so much. Notice the detour Qatar is forced to make with the blockade. 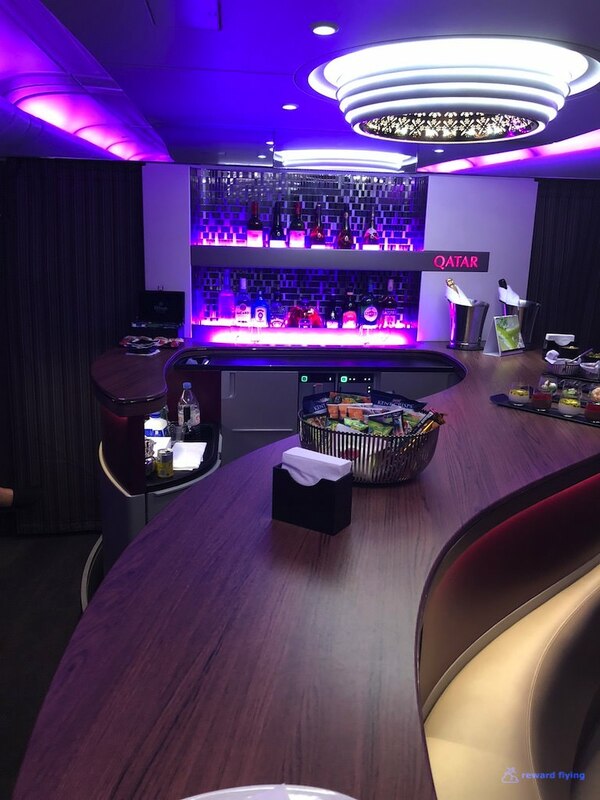 Have you flown on Qatar’s A380 in first class? Tell us about your experience.